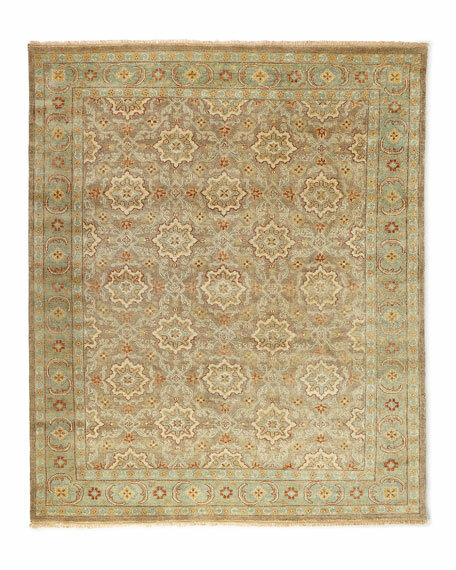 Sebastian Hand-Knotted Rug, 5'9" x 8'9"
Evoke memories of yesteryear heirlooms using subdued, monochromatic tones in updated colors. Skilled weavers hand knot these masterpieces one knot at a time with fine hand-spun wool. Handcrafted traditional rug features antique washing and triple steaming for a lived-in, weathered finish with gentle signs of wear and lovely patina. All sizes approximate; we recommend use of a rug pad.